LA with my sisters was so fun, but I’m excited to be home with my family! After the warmth for a few days, it’s time to be bundled up again! Here is some outfit inspiration for your Wednesday morning! Enjoy! 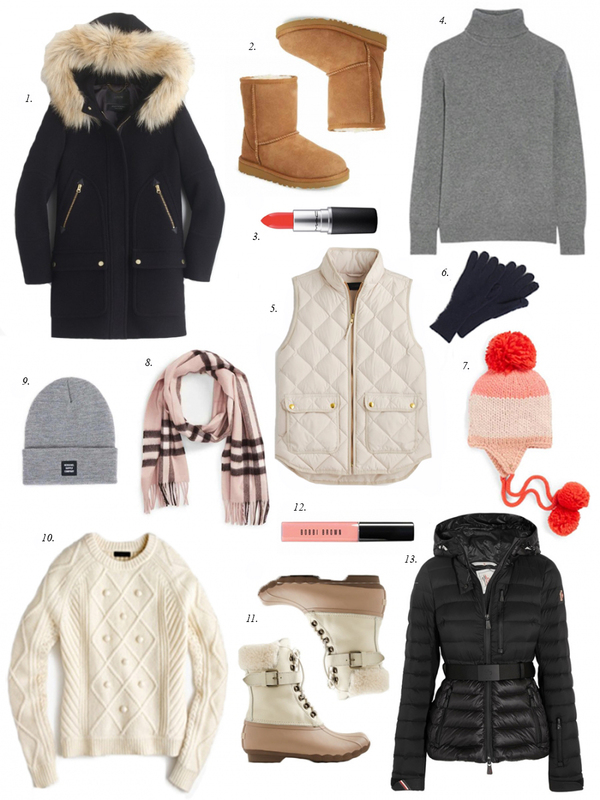 These are great winter picks! I love the wool coat with the faux fur lining and all the cozy knits! That pom-pom sweater is adorable! And the coat is super pretty, I have one similar to that one and I love it. There are so many great picks here, love them all! Love your web site but have missed seeing home décor!! Hope you post some soon!! I’m loving your selection here, Rach, especially that puffer coat and that cream sweater! Thanks for sharing and I hope you’re having a great week so far! The sweater and coat seem really cozy. I love how you always pair neutral colors in sweaters and outerwear with pops of colors in your makeup! So pretty. Great picks for winter cozies! I love all these sweaters and those sperry boots! Love that cute puffer jacket!! PS: for any of my fellow nice girl bloggers out there! I recently decided to create a space for fellow bloggers to come to truly support each other and ask questions called “The Nice Girls Of Blogging.” If you are looking for a supportive space and a new group of digital friends, please come and say hi! Please add your fellow blogger or Insta friends – the more this group grows the more support we have! I love that black coat! I’m so into 10, that sweater is so cute. I love a good irish knit. What did you get up to in LA? Will we see some outfit posts? That JCrew coat – I love it. Everything looks so warm and cozy. Sounds like you had fun in LA!